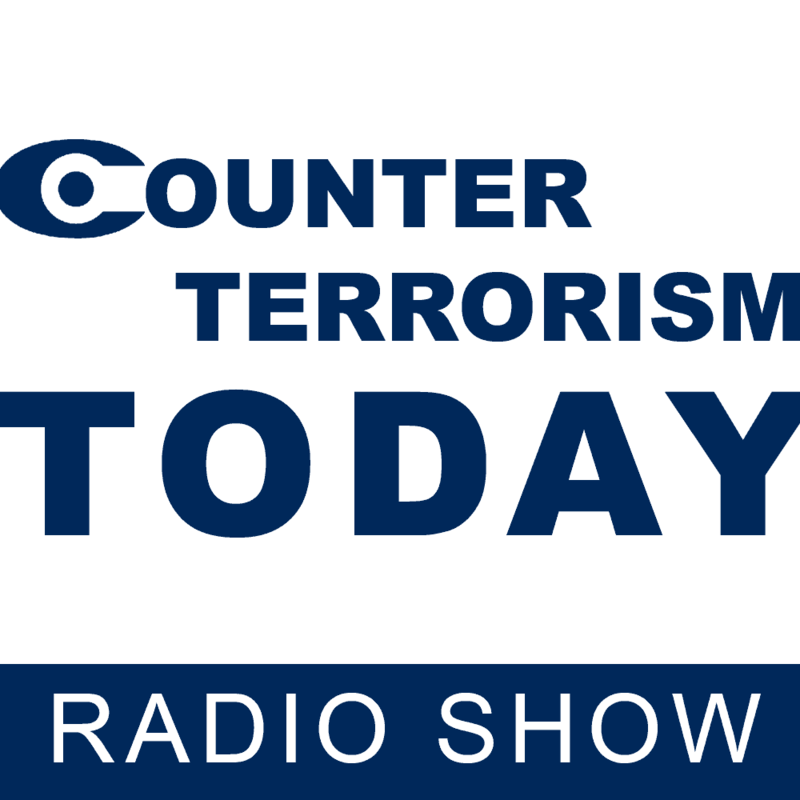 Two high-profile experts of security politics joined host Mr. Dan Diker for this special Counter Terrorism Today edition to commemorate the ICT’s 20th anniversary. Prof. Boaz Ganor, Dean of the Lauder School of Government and Director of the ICT, engaged in a fascinating debate about the nature of democracy, wondering if democratic values are compatible with the Arab Muslim nations in the Middle East in the long term. Mr. Dan Meridor, Israel’s former Deputy Prime Minister and Minister of Intelligence, laid bare some of the mistakes that liberal-democratic countries of the West, particularly the U.S., have made in the Middle East. To begin, Mr. Diker asked Prof. Ganor to assess the status quo in the Middle East: where are we today as radical Islamism sweeps across the region; and are the Islamists winning? Prof. Ganor noted that we can observe regional trends by looking at ISIS as a case study of Islamism. As Prof. Ganor explained, ISIS managed to conquer a third of Iraq and a third of Syria in just one year - between the summer of 2014 and 2015 - making it one of the largest states in the Middle East, if we regard it as a state. What is the reason for ISIS’ success? Prof. Ganor sees “sophistication in the combination of military activity together with the psychological warfare” as the recipe for ISIS’ rapid rise. If radical Islamism in the Middle East is the problem, and ISIS its most obvious example, then what is the solution? The two guests assessed the response of the Iraqi forces, the Assad government, the Western coalition, and Russia, concluding that only the latter has had significant success in the fight against ISIS. Prof. Ganor criticized the U.S.’s policy to avoid boots on the ground at all costs, arguing that bombs alone will not defeat ISIS’ hybrid war machinery. On the other hand, he said that Russia’s “non liberal-democratic approach that doesn’t care for international humanitarian law considerations or number of civilian casualties”, unlike the liberal democratic states of Europe and North America, has stopped ISIS’ expansion in many territories and even caused it to withdraw from certain regions. Prof. Ganor added that Western countries have two misconceptions about politics in the Middle East. First, that “democracy is a miracle solution for violent activity and terrorism in particular,” and secondly, that democracy is defined by free elections. Refuting these misconceptions, Prof. Ganor argued that “democracy is first and foremost a value system” that combines civil society, human rights, women’s rights, and freedom. In Prof. Ganor’s opinion, free democratic elections provide the apparatus behind the democratic system, but are not synonymous with democracy per se. This was evident when the Egyptian people elected the Muslim Brotherhood, a staunchly anti-democratic Islamic party, in their first democratic elections after the Arab Spring. Searching for a present day answer to the threat of Islamist terror in the region, Mr. Diker asked his guests, “What would it take to mobilize Saudi Arabia, the Gulf States, Jordan and Egypt to make an Arab alliance against terrorism without the need for foreign interference?” Prof. Ganor noted the importance of semantics, arguing that the Arab states fighting ISIS need foreign “involvement, support and back-winding,” in other words, positive help rather than “interference,” a term with negative connotations. Prof. Ganor’s second prescription for the Arab states will be much more difficult to enforce. He observed that if democracy were ever to take hold in the region, states must recognize that democracy and sharia law are incompatible: in democracy, ‘demos’ (people) is the sovereign; under sharia law, God is the sovereign. Mr. Diker had the last word at the end of a wide-ranging discussion. Zooming in from the entire Middle East to tiny Herzliya, he congratulated the International Institute for Counter-Terrorism on its 20th birthday, noting that the ICT has emerged as a leader in the global fight against terrorism. ICT in cooperation with the IDC International Radio. 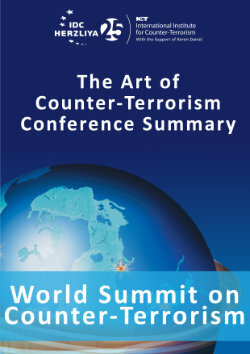 Counter-Terrorism Today hosted by Mr. Dan Diker.